« Survey: What do you want to see more of, here at Veritas Domain? Last year, I wrote a short post concerning my fascination with the relationship of Presuppositional Apologetics and Messianic Prophecies which you can read about HERE. I do believe that it’s important for the apologist to be conscious of worldview and philosophical undercurrents behind those who might rule out Messianic prophecies that attests to the Christian faith as true, and would love to see more Presuppositionalists engage with Messianic prophecies, while those apologists who engage with the exegetical and historical work of Messianic prophecies be more equipped with Presuppositional apologetics as the framework of going about defending the faith! 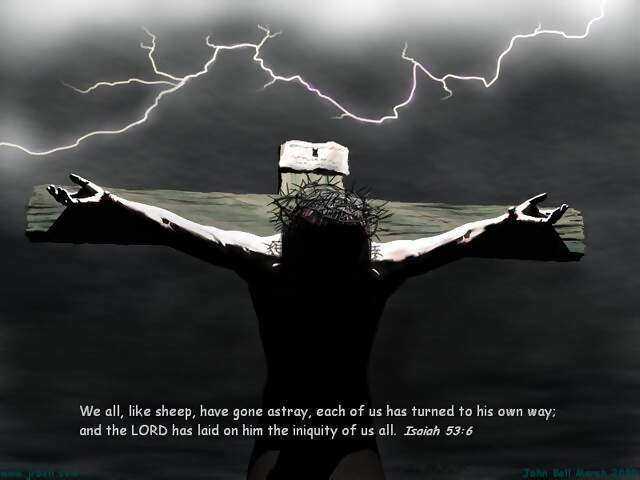 To that end, I think this post might be appropriate for readers to be better equipped with knowledge of the amazing Messianic prophecy of Isaiah 53. Earlier this year (2012), John MacArthur had a mini-series going through Isaiah 53, focusing on it as Messianic Prophecy of Jesus Christ. They are made available by Grace to You ministries, and below, you can download each individual messages. Just downloaded the first message – I’ll have a listen on the way home from work. I’m pleased there is a lot we can agree on. So thanks for sorting that out earlier. I wanted to send you a book until I saw how much it was! If I can find it at a good price I’ll ask you where to send it. I’m going to put some excerpts on my blog. ‘Preaching: Pure & Simple’ by Stuart Olyott. Thanks Mike. No hard feelings from our side. We are brothers. Also, if you ever have any questions pertaining to the topic of preaching, please feel free to ask us. No problems here either bro – have always appreciated the fellowship. Just heard (tonight) Dr MacArthur preach on Isaiah 53 at Pastor Begg’s Parkside Church. He’s writing a new book covering this topic in one of the chapters. Wow Alf do you attend Pastor Begg’s church? It’s hard to find high quality sound teaching nowadays. I seriously appreciate this! Praise God for salvation through Christ. I listened to all of this while driving for my work. What an amazing prophecy!